Harriet is lives in Aberystwyth. She studied classical harp reaching Grade 8 with Distinction. She has a degree in Medieval Celtic Studies from Trinity College, Cambridge and has played Celtic music for the last 20 years. She was twice “Harper of All Britain” in the British rounds of the All Ireland competition. Her first solo album of harp music “Jumping Ahead” was released in 2003. In 2005 she was one of a handful of young musicians across the UK selected to be on Yehudi Menuhin’s “Live Music Now” scheme which led to over 150 solo concerts at community venues around Britain and an invitation to meet the Queen in Buckingham Palace. She now trains new musicians on the Live Music Now scheme. In 2007 she won the Open Stage competition at the Celtic Connections festival in Glasgow, chosen from 82 acts competing for the title. She has toured as a soloist in 25 different states of the USA as part of the Irish Variety Show and gives regular solo concerts across Europe, including frequent tours of Germany, Italy, Holland and France. 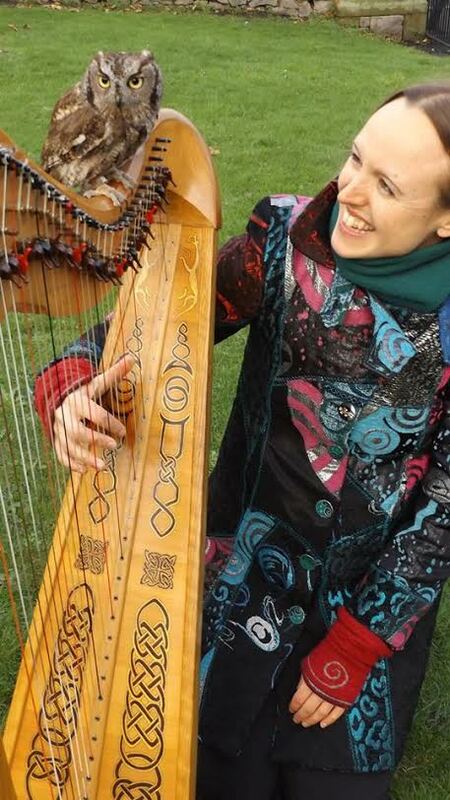 With her trio of harp, bass and drums, “The Harriet Earis Trio”, she has represented Wales both at “Celtic Connections” and at the Festival Interceltique in Lorient, Brittany in 2008. She has recently been collaborating with other European acts as a duo with Italian harpist Adriano Sangineto, with accordionist Nick Wiseman-Ellis from Hamburg, Germany and with the German-Irish band "Unknown Friends" in Stuttgart. She has made numerous recordings including her two trio albums where she mixes Celtic harp music with jazz. Her trio is currently touring the UK with ex-Riverdance tap dancer Lee Payne with a new show called “Harp and Tap”. Harriet has played solo in the Royal Albert Hall and the O2 Arena in London to over 25,000 people as part of the Young Voices tour in 2007. When she is not touring she teaches the harp and gives harp workshops around mid Wales. Harriet is also available for Skype lessons around the world.